Legendary Hip Hop trio, De La Soul announces their highly anticipated 8th Studio album, and the Anonymous Nobody on AOI Records via Kobalt Label Services. The creation of and the Anonymous Nobody has been several years in the making. 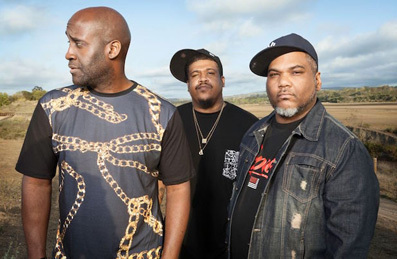 De La Soul wanted to make another sample-based album in the vein of 3 Feet High and Rising. In order to do so, and avoid the legalities of sample clearance, they spent a few years recording more than 300 hours of live music, converging everything from bossa nova, soul and hip-hop to funk, disco and reggae, creating their own sample library. The body of work is a concept and continuous story, even down to the transitions of songs with sound effects and instrumentals. The features-based record is mixed by Bob Power, Morgan Garcia and De La Soul, and was produced by De La Soul and Dave West. Guest appearances include, Snoop Dogg, Usher, 2 Chainz, and more. "This album is about lending to the scape of music in 2016, trying to give something, not for the sake of we want to balance what's going on or fix hip-hop. We just want to say something to the creative aspects of music," says Dave.